Whether you’re hosting a birthday party, a corporate event, or a school outing, we have it a plan for you. We have a fully decked-out cafe, events room, and party decorations, all to make your event go so well, that all your guests would be jumping for joy! 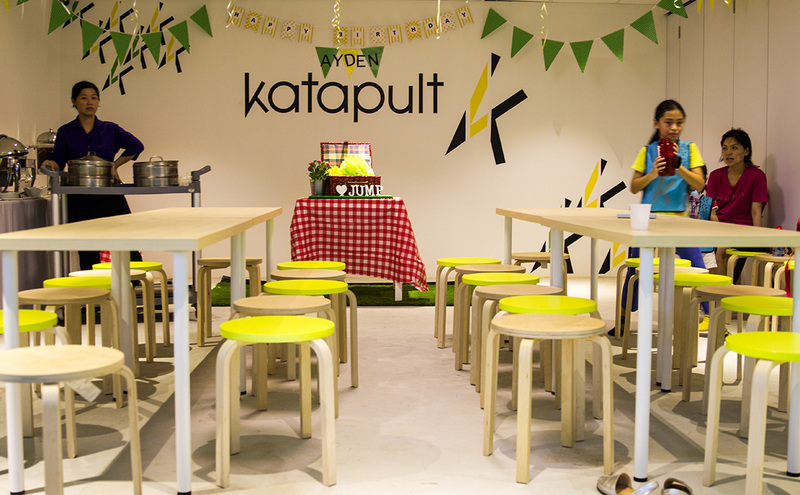 Thinking of hosting a birthday party at Katapult? Leave it to us: we’ll take care of everything from decorations to cake-cutting. 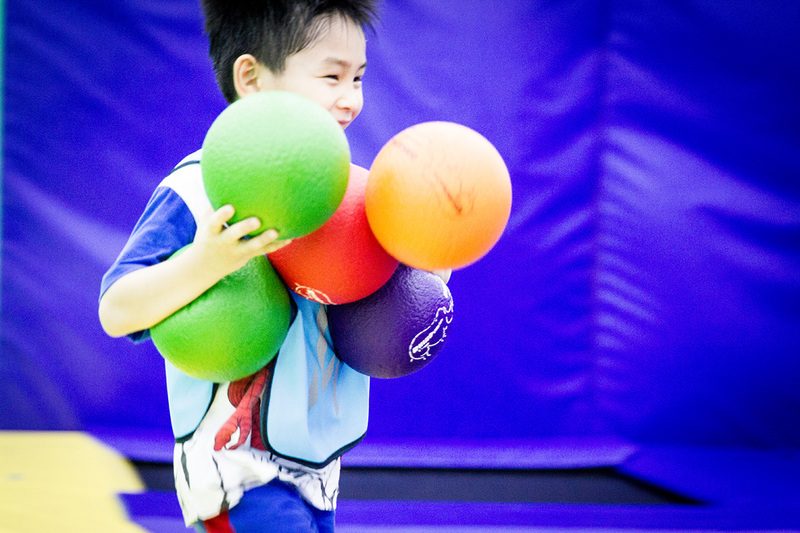 A trained marshal will serve as party host, supervising the jumpers on the trampolines and facilitating the rest of the party to ensure everyone – parents included – has a great time. 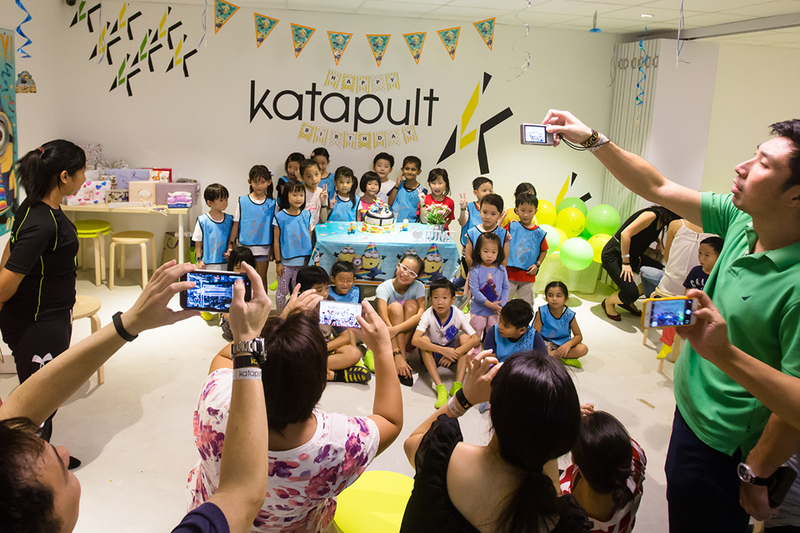 Food catering options are also available – and you can even order a special Katapult 3D birthday cake! 20 physical party invites will also be provided after the booking has been confirmed (self-collection). Please refer to our Event FAQ for more information. Tell us about your prospective birthday party on the following form, and we will contact you soonest. We’ll take the headache out of planning! *Minimum of 15 jumpers required. 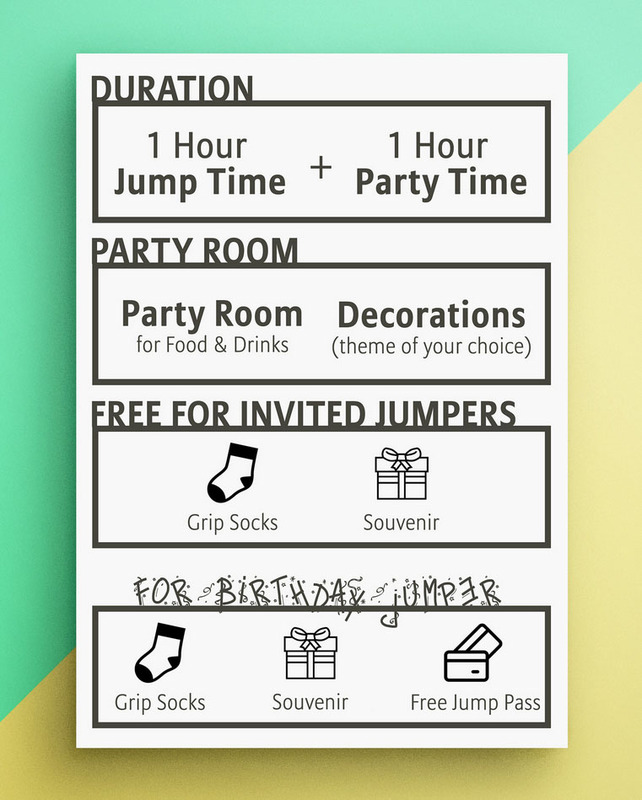 * This is the standard weekday/weekend rate for jump hours and does not include the price of grip socks ($3), which also have to be purchased for each adult jumper. In previous years, I have used other venues, never again! We are so pleased that we chose Katapult. The efficient party check-in made the arrival seamless and the marshals in the arena were so helpful with the kids. Party room standards were so good, from decor, plates, and a real knife to cut the cake. Kudos to you for a wonderful party experience! We had a lot of fun and it was really memorable for all the kids especially my daughter who had thoroughly enjoyed herself. 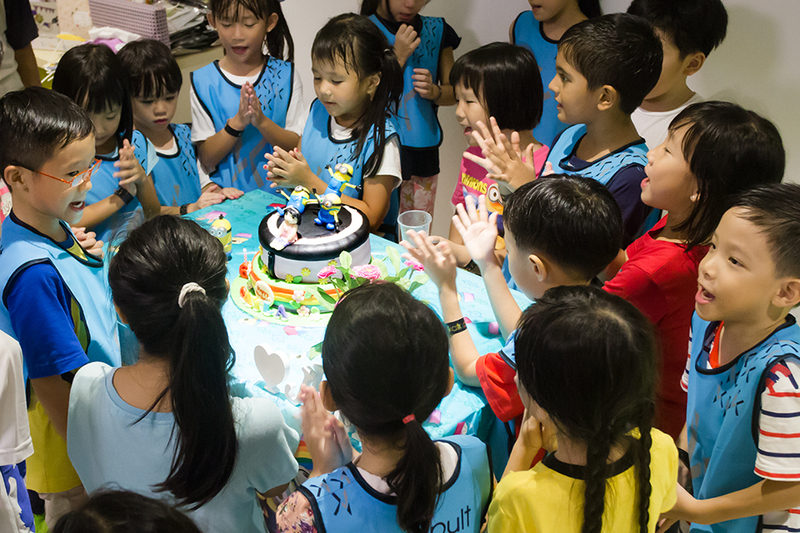 We will definitely recommend you to our friends who might want to celebrate any birthdays for the kids. Loved that Katapult is appropriate even for younger kids and I was most impressed by the huge amount of jumping space inside. The interior ventilation also surprised me as it did not feel stuffy at all in the arena! Great party host to accompany the kids and see that they get to try the different stations. Thank you party coordinators and party host for giving Namyra an unforgettable 12th birthday! Thanks so much for the great, fantastic party for my boy Kieran! 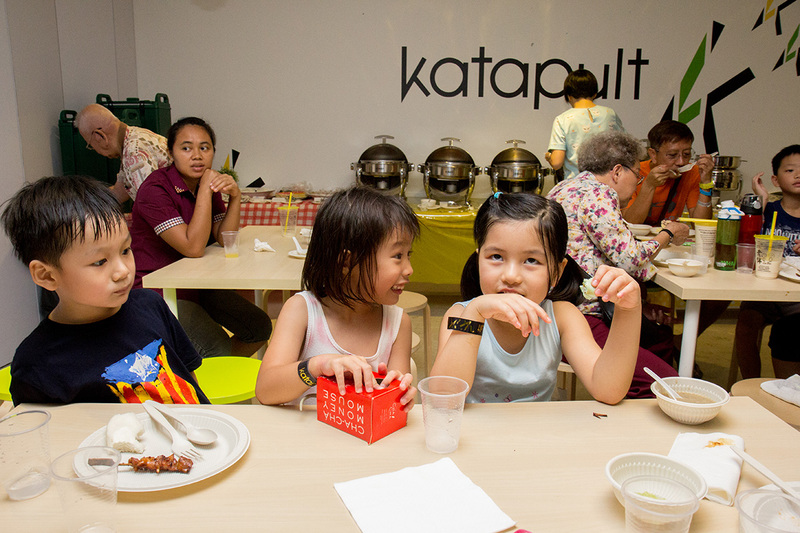 He enjoyed himself tremendously and other parents and their kids were all raving about Katapult. It was an unforgettable party for my boy and also a very good experience for our guests. Kudos to your team! Looking for some great team-building ideas? Katapult isn’t just for kids – it’s a great place to get to know your colleagues better. We can tailor your next corporate event to best suit your needs (and budget)! If you are considering organizing a corporate social responsibility (CSR) event, Katapult is also a great venue. 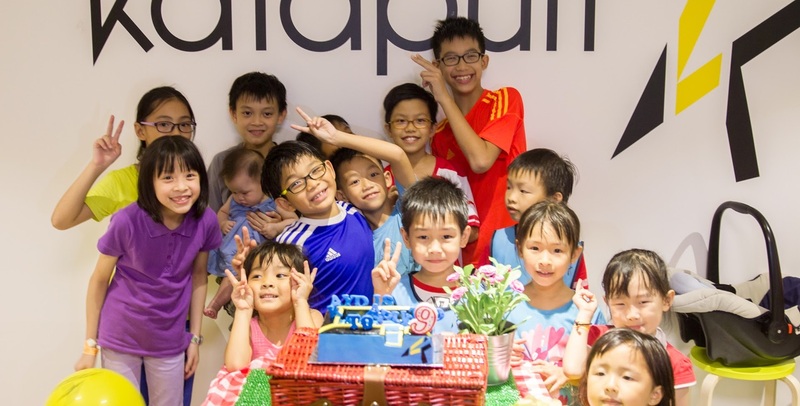 We have collaborated with organizations such as NTU (for the visually handicapped) and Singapore Pools (for Metta School). We have truly enjoyed ourselves and believed we have bonded with each other well from different departments. We appreciate your experienced trainers to guide the teams well and explain the rules clearly. Thanks for the enjoyable time. It is a new experience for the children and staff and we had fun. The children had great fun today and we really do hope to bring them back again! The booking process was such a hassle-free process and the customised program Katapult catered for us was just right for our entire camp attendance, where everyone was busy having fun and no one was left idling around! 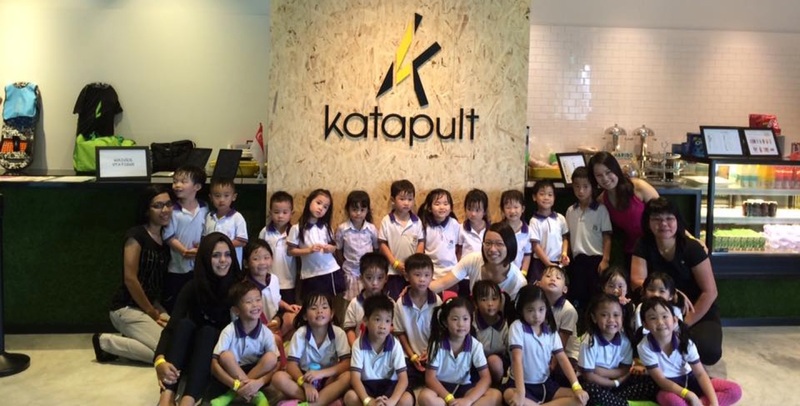 Katapult has also facilitated numerous outings for students from both primary and secondary schools. 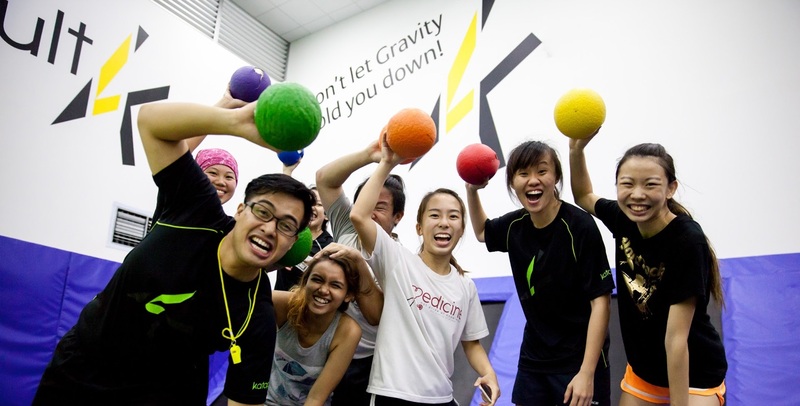 We provide a fun and safe environment for students to get active and enjoy some bonding time. If you would like to organize a school activity, please complete the enquiry form below and we’ll contact you soonest to get you set up!